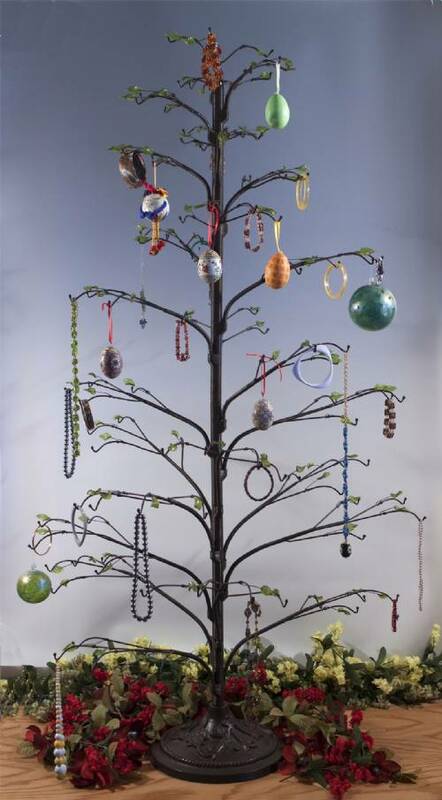 This dark brown twig tree is the big brother to our twig ornament stand. 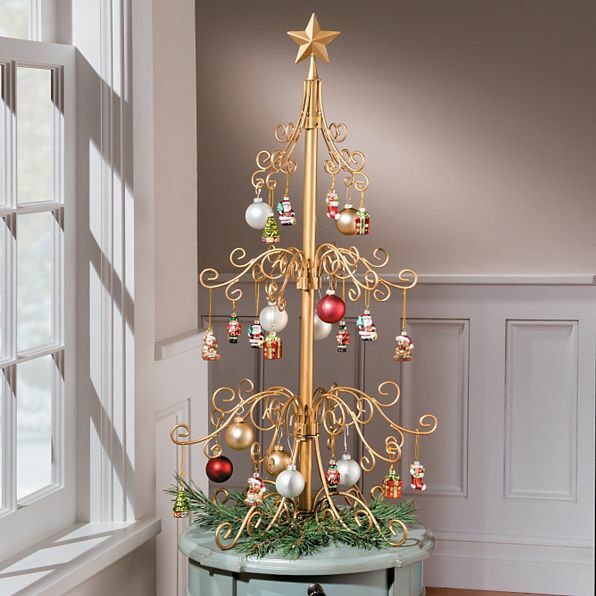 Small glass leaves adorn the 25 branches which offer enough space for 125 ornaments. Tree is 30" in diameter and is 62" high. Made from sturdy wrought iron. 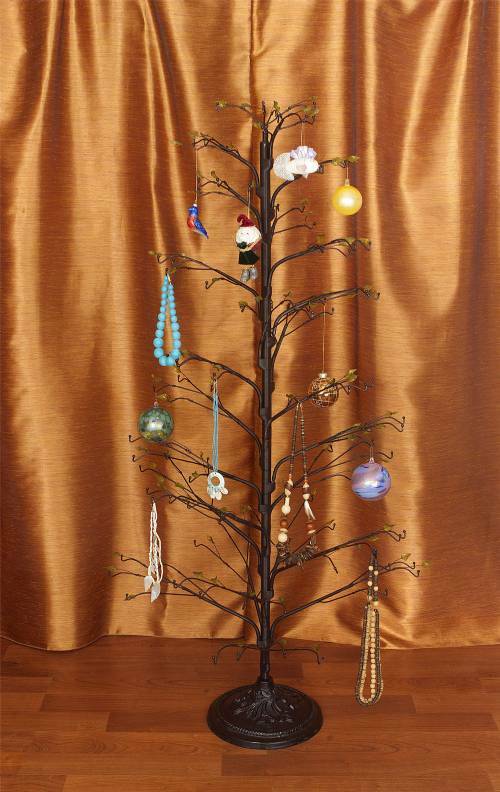 Bring your ornaments (or any items) to life! Branches are removable for easier storage.